I was disgusted to read in the Guardian newspaper earlier this week and in today's popular press, that celebrity chef and restaurateur, Michel Roux Jr pockets the entire service charge added to bills at his Le Gavroche restaurant, rather than pass it on to his staff. 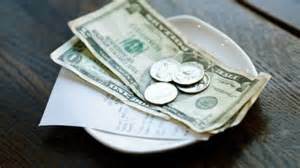 I have long been an advocate of an end to service charges, with 'tips' for good service going directly to kitchen and waiting staff. 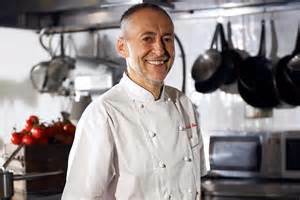 The TV chef Michel Roux Jr has admitted his Michelin-starred Le Gavroche restaurant keeps 100% of the service charge added to bills instead of distributing the cash to staff in addition to their wages. The former Masterchef judge, who this week apologised for paying chefs beneath the legal minimum wage following a Guradian investigation, has revealed he treats the 13% service charge “as revenue”. With the fixed price menu with wine at his restaurant in Mayfair, London, costing £212 a person, it is likely to amount to several thousand pounds a week. The government said earlier this week that it believed all discretionary payments for service, after tax where appropriate, should be received by the worker. It ran a consultation this summer and said it was considering prohibiting employers from taking any cut to provide greater protection to workers. The issue at Le Gavroche arose when chefs angered at their illegally low pay complained last month that their situation was made worse by not sharing in the service charge that many diners assume supplements staff wages. 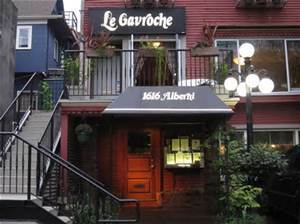 At the time a spokeswoman for the restaurant said: “All Le Gavroche staff, front of house and kitchen, share in the 13% discretionary service charge.” Now, following further questioning, the restaurant has made clear the service charge goes into restaurant revenues. No member of staff receives any of it over and above their basic wages. No wonder 42,000 comments have been posted on Facebook in response to this report, many of them are so angry they are threatening to boycott Roux's restaurant and the many products he endorses. What's your view?